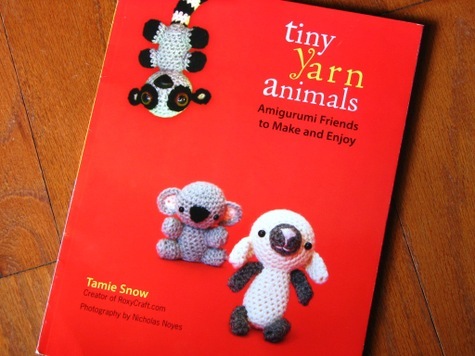 A couple of weeks ago I received this book, Tiny Yarn Animals. Oh my goodness, the cuteness! 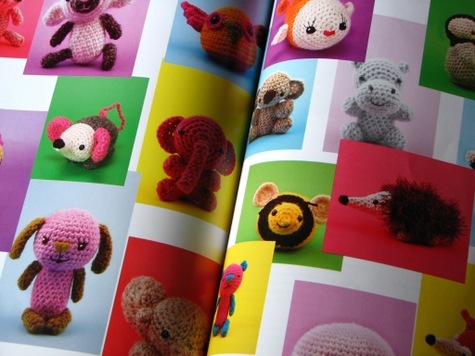 These little crochet animals are too much! I haven't crocheted in years, and I've never followed a pattern, but I couldn't resist. There is a little how to section in the beginning that goes over basic stitches, so even if you're a beginner you can give this a shot. I made this little guy first. Mr. Hippo. It was tough to get a picture of him because little hands wanted him as soon as he was finished. Of course I had to make something else. 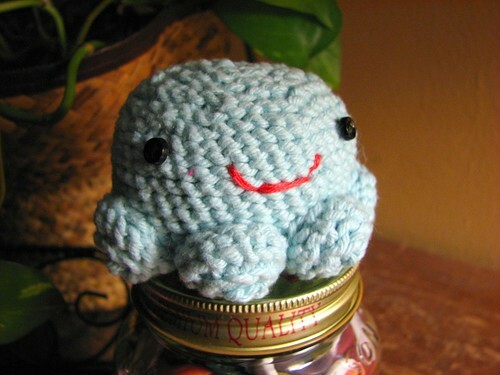 Next up was this octopus. I made her 8 legs, but for some reason when it was time to assemble her, only 7 fit. Oops. I'm sure no one will notice. 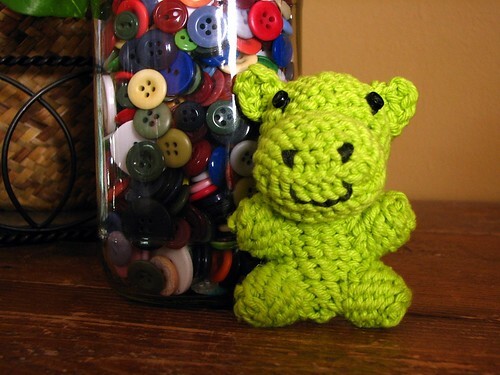 These are so adorable and easy, I want to make more!